Have you ever wondered what the number inside the arrowed triangle means at the bottom of a plastic product? That logo printed on your plastic is known as a Resin Identification Code or RIC, which a set of symbols used to identify the type of resin from which a plastic product is made. Created by The Society of the Plastics, the system was introduced to U.S. recycling facilities in the late 1980s as a method of reprocessing plastics for further use and manufacturing. Today, the resin code system has become a useful tool for consumers after an increased public awareness of recycling. Before plastic is transformed into a product, it starts out in the form of tiny pellets known as resin. Resin is the base of the manufacturing process and have various properties. The pellets undergo a molding method where the plastic is transformed; but the way a product is manufactured depends on the type of resin used. For example, the forming process from P.E.T. resin will be different from the forming process of polystyrene resin, which is why the RIC system is important. Do Genpak products contain BPA (Bisphenol-A)? BPA is not used either directly or indirectly with any Genpak products include polystyrene or foamed polystyrene products. Genpak products can be broken down and reformed into more products. Here are our recyclable plastics, which are safe and offer various features and benefits. P.E.T. plastic products are the most common type of curb-side recyclable plastic. Genpak’s containers made of this material also contain up to 30% post-consumer recycled content, in our conservational efforts to eliminate waste. Genpak’s P.E.T. 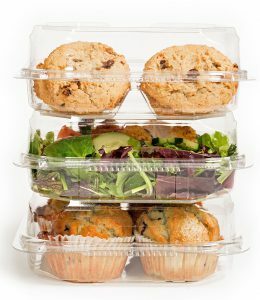 products include Clear Hinged Deli Containers, Clear Hinged Food Containers, Oven Ready Bakery and Food Containers, Hinged Bakery Containers, Supermarket Containers, Serving Bowls, Clear Cups as well as most of our clear Foodservice Lids. Another common, curb-side recycled plastic is polypropylene. This type of material is commonly used to produce microwave safe products and great for carrying heavy meals. At Genpak, we produce our Smart Set Pro, Harvest Pro and our new ProView products from polypropylene, which are microwavable and dishwasher-safe for convenience. 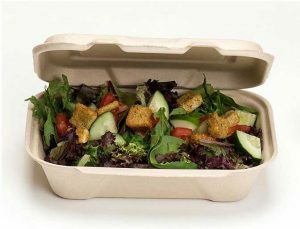 Polystyrene is a common type of food packaging material with the #6 plastic identification symbol. It has been safely used for nearly 50 years. 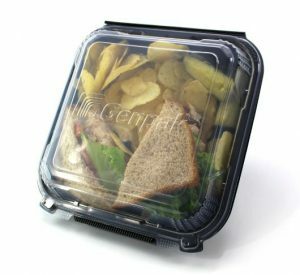 Genpak products made of polystyrene material include our Smart Set Foam, Foam Hinged Dinner Containers, Foam Hinged Snack Containers, Dinnerware, and our Food Serving Trays. For more information about polystyrene, click here. Need to know where to drop off a Genpak foam product to be recycled? Click here to search for a foam recycling facility nearest your location. At Genpak, we’re passionate about engineering products that perfectly blend with immediate packaging needs. Our history has demonstrated a consistency in developing new products that are both sustainable and recyclable. To request free samples, click here. ProView is Here. What You Can Expect. After much anticipation and excitement in 2017 for the grand reveal, ProView is here to make its mark in 2018 and enhance the consumer experience. 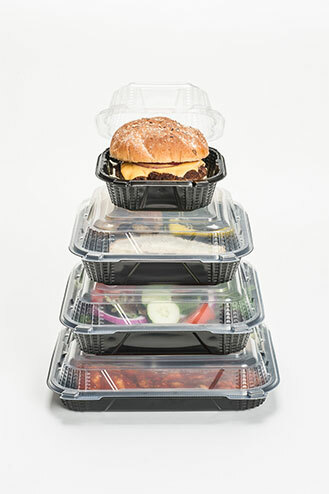 Designed for various food applications and eating occasions, ProView is a premium product line of black and clear hinged microwave safe containers created for home delivery, upscale catering, and more. Transparent lid offers a greater level of unmatched clarity for food presentation. 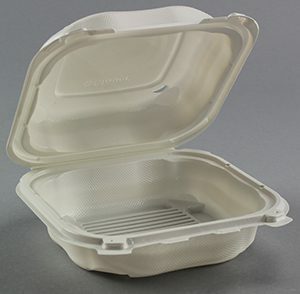 ProView containers can be reheated to keep food items fresh and ready to enjoy. Humidity-control technology for fresh food under any condition. Created for reuse as it is top-shelf dishwasher safe. This container is a perfect candidate for single grab n’ go food items. The PV225 features a size that works well for burgers, sandwiches, and sides. 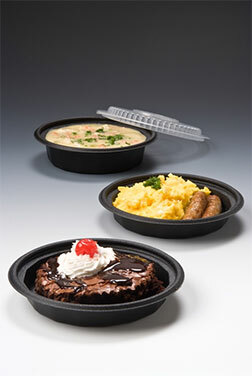 It can also contain warm desserts, which is what makes this small container “short and sweet” for consumers. 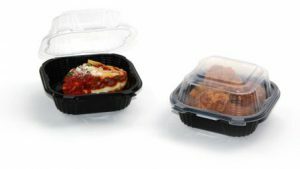 The medium hinged containers are a one of a kind size for leftover meals and small off premise dining. 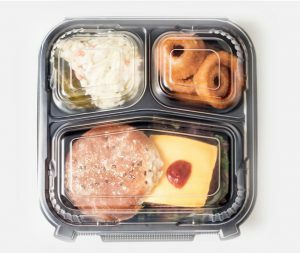 Offered in a single compartment and three compartments, it is one of our carry-out options that can be used for a variety of food items. 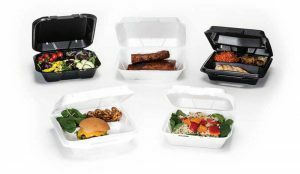 The PV200 & PV203 are large containers that serve as an ideal size for a standard meal with varied sides. This item also comes in one and three compartments. What’s a container if it can’t hold even the largest food items? No need to worry when considering the PV250 & PV253CO. It is a jumbo container for large, exquisite food items like lobster, ribs, and steak to name a few. It can hold large entrees and varied sides effortlessly, while maintaining its integrity for being leak resistant, stackable, and easy to carry. ProView does not back down from the competition since it is a distinctive product line for innovative markets. This collection of microwave safe containers prove to be reliable for off-premise dining, all-day breakfast, grab n’ go, home delivery, and even for the growing ethnic flair that consumers are readily exploring. 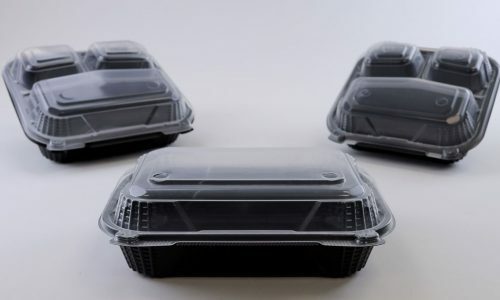 Genpak is not only committed to delivering top quality containers, but we strive to deliver top quality packaging as your food packaging company. To see more of Proview’s high performance, watch the video below. To request free samples, click here.